The Great Wall gets a Bubble Bath! 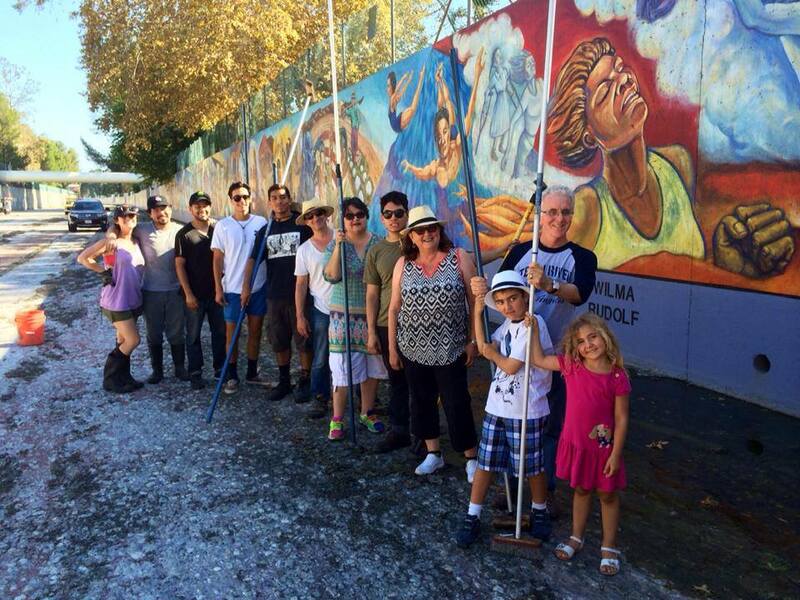 On Friday, August 1st, The Great Wall of Los Angeles received a much needed bubble bath for the first time in 3 years! Small spider webs, dirt, and debris were scrubbed and power-washed away. Councilmen Krekorian of District 2 stopped by with his 2 kids and staff to see the progress, and scrub a piece of their own! Special thanks to Project Director, Carlos Rogel, Facility Manager, Daniel Gutierrez, Associate Director, Felipe Sanchez, and the team of 8 awesome interns and volunteers.